Organizing cooking sessions for over two years made me realized that we do not eat enough vegetables. For the past few sessions and the following ones, a salad course is added to the menu along with the usual full course meal. 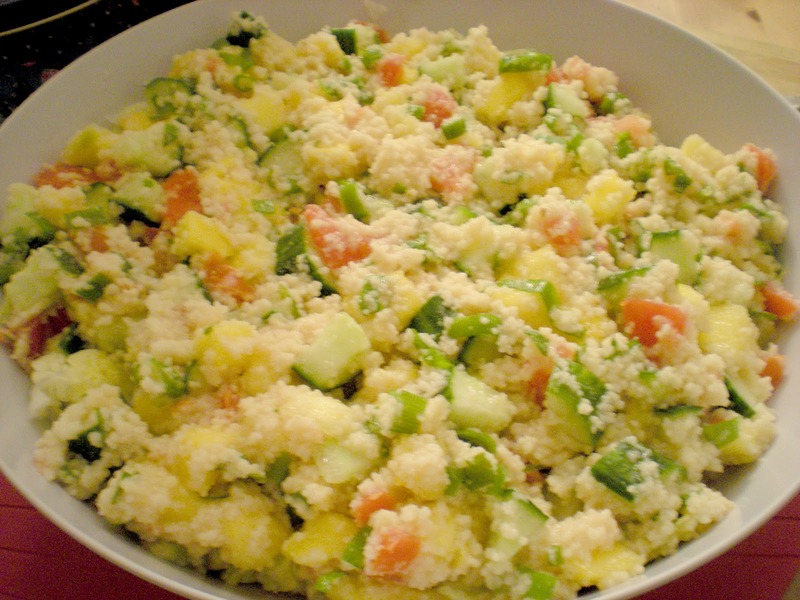 To continue with the letter T theme, my Brazilian friend has chosen to make a tropical tabbouleh, a fresh and fruity salad which can be used as sides to calm down the heat of spicy foods. 1. In a bowl, soak bulgar wheat in boiling water until soft to bite, about 45 mins. Drain with a colander. 2. In another bowl, combine lemon juice, olive oil, salt and pepper. Add in cooked bulgar. 3. Stir in spring onions, tomatoes, cucumber, pineapple and mangos. Serve. Great flavors and textures in this dish. Woww thats a fabulous tabbouleh.. I love tropical flavors and this tabbouleh seems like no exception! Great dish. Sounds delicious - the pineapple and mangoes are rather unique addition. 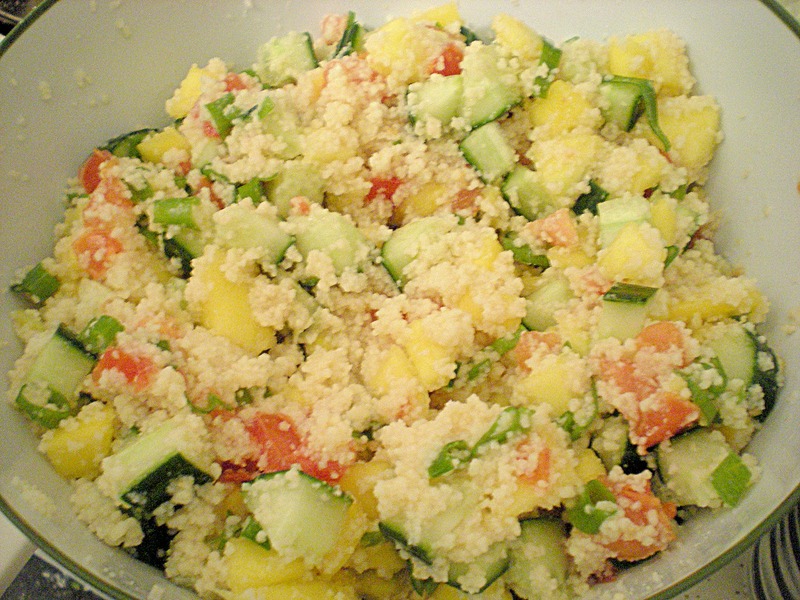 What a refreshing spin on tabouleh! Lovely!